We build super Adsense friendly websites and push them to earn $100+ per month. We don't feel comfortable guaranteeing any sort of earnings but we do guarantee our quality of work. Yes, $497 is a lot but you're buying quality, NOT some cheap $35 service. We have always worked closely with our customers and made sure their investment was well worth it. All of them were satisfied. And if at any point you're not satisfied: 100% money back guaranteed. Bam. We're aiming to change how people can earn on the web. For so long, we've seen that many entrepreneurs have purchased Adsense sites that were utter crap. 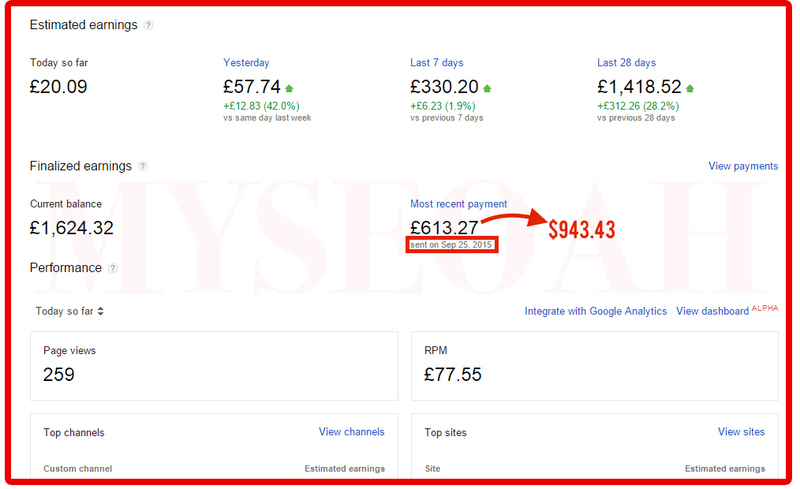 Sure, buy a $35 Adsense site and you'll start earning $100 a month. Really? You think a $35 site will earn you $100 a month? We don't think so, because those sites lack in two areas, authority links and content. Mainly content. SEO in 2015 prioritizes content so much that quality content alone can rank by itself. Each of our site has the ability to earn $100 to $1000 very easily. We do quality content and quality SEO services launching the site to top rankings. In this way, the site receives all the targeted traffic that the keyword possess. We have a great Adsense team that researches and finds the most profitable niche for you. Each niche Avg. CPC is almost $1.5, Over 2000+ monthly searches, each ranking opportunity etc. We have so much confident on our services that we even offer 100% Money Back Guarantee. NO OTHER COMPANY provides this kind offer anywhere. Only & only we provide Money Back Guarantee. Message us if you want to see some demos. Do I need hosting? Yes. You also need to purchase the domain. Can I choose my own Niche? Not at the moment, to reduce the TAT. But rest assure we'll pick a winning niche. Is the earnings consistent? Yes, this isn't a cheap $35 service but as the market is, earnings may fluctuate. However, you'll no doubt see results. When can I expect to earn? Users have experienced earnings of $100+ within the 2-6 months. If you're expecting something sooner, please look somewhere else. We focus on building along term investment. Can I see a demo site? Drop us a message. If we don't deliver your site within 29 days, you get full refund. 2 options. If you don't see any results: 1)	We can do a 100% refund. 2)	OR you let us do our job until you start earning.